Food Journal: Sweet Potatoes, Zuchinni, & Cauliflower. Basil and cayenne pepper baked sweet potato with a side of mashed cauliflower. I love the spicy tang with the sweetness of the potato. The mashed cauliflower is dressed with browned onions (in soy sauce), lightly browned garlic, lots of garlic powder, and smoked paprika. 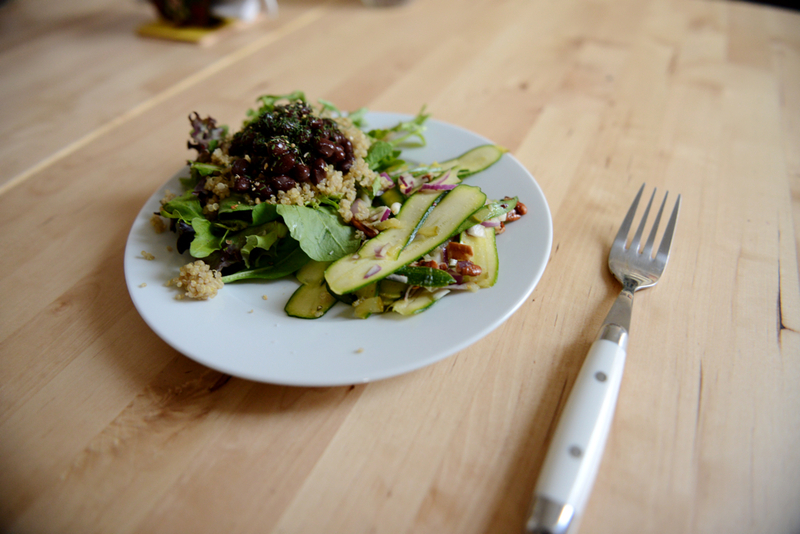 Zucchini Salad with a side of quinoa + beans on a bed of fresh greens (Spinach, baby kale, and romaine lettuce). 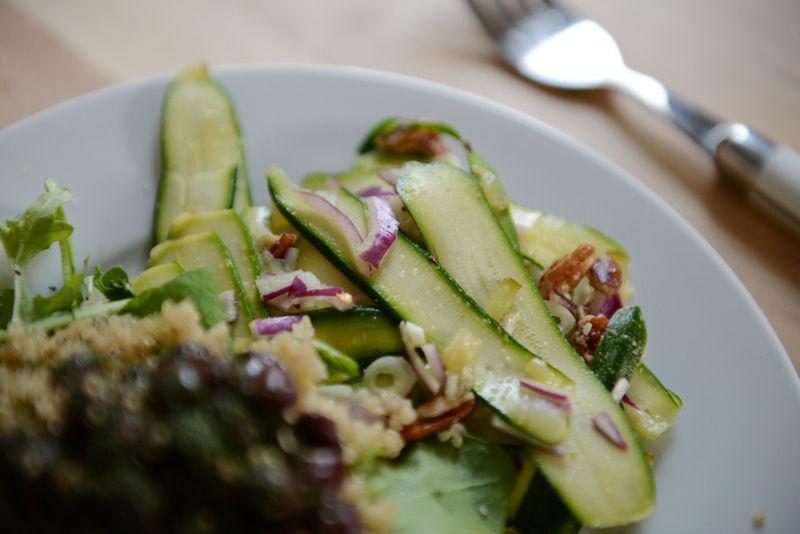 Zucchini salad: thinly sliced (using peeler) zucchini, red onions, pecans, finely chopped whiskey sour pickles, rice wine vinegar, olive oil, coarse sea salt, and dill weed. As always, these take 30 min. or less. I don’t like recipes, as I’ve mentioned, but I’m always on the lookout for ideas on something new to make. 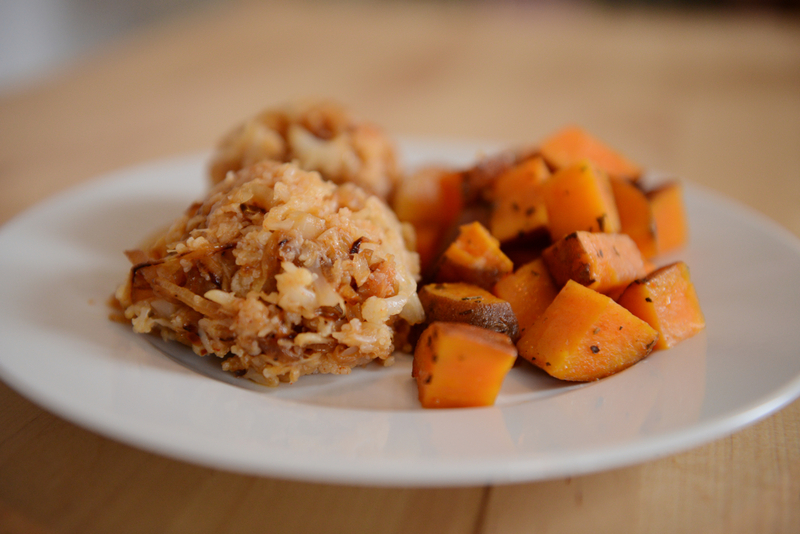 Care to share what yummy dish you made this week? Previous Week 40: Stand Up, Haze, & Cuffed. Next Food Journal: Grilled Cheese. Both of those look delicious! For lunch today I ate cauliflower roasted in balsamic, topped with flaked almonds, oregano, and a little chilli. Mmmmm! that sounds yummy! did you add anything else except for balsamic when roasting?